DIAMONDS coach Lisa Alexander believes the gruelling Constellation Cup schedule poses a risk to player well-being. 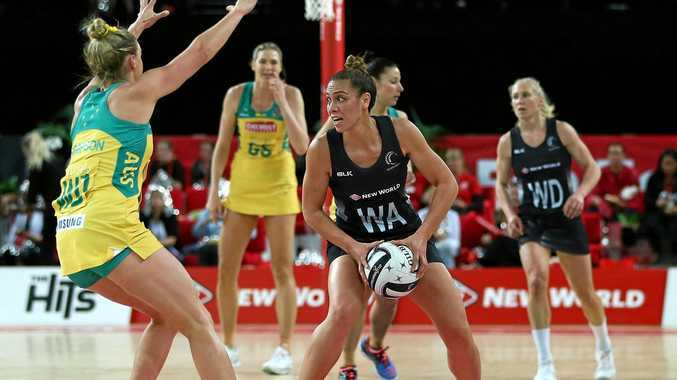 The Australians and the Silver Ferns took to the court for last night's third Test in Auckland after just a two-day turnaround between matches - one of which was taken up by travel. The Diamonds clearly coped with the challenge better, as the pain of Wednesday night's shock 53-51 loss to the Ferns in Launceston proved a strong motivation. Despite dealing the Ferns another 12-goal hammering in Auckland to take a 2-1 lead in the series, Alexander doesn't think the two sides should have taken the court. "I certainly said today that the Test should have been (on Sunday),” the World Cup-winning coach said. "Both teams needed an extra day of training under their belt and would have appreciated the recovery time. Fatigue certainly appeared to be a factor in the Ferns' performance, with the home side's execution and intensity dropping off towards the end of the first half following a fairly even start. New Zealand coach Janine Southby was reluctant to blame the schedule for her side's lacklustre showing. She said the biggest challenge for her group was learning how to continue to step up the effort and intensity across a series, with several young players in the side being exposed to regular court-time against the Diamonds for the first time. "I think certainly yesterday the girls were really tired, but our testing and all the data we collated indicated this morning that they had bounced back. There is the mental side as well that is not so easy to measure,” she said. Both coaches are giving their sides the day off today, before the teams fly to Invercargill tomorrow.